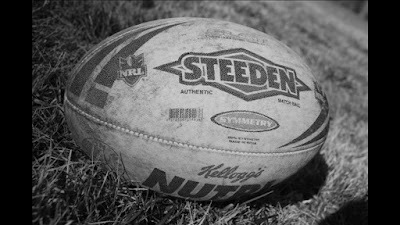 The 2009 NRL Premiership Season is at the pointy end and the Finals Series begins this weekend with four Qualifying Finals. All teams have been named. Game Previews are linked below and include Video Previews - so check them out. If you need more sport - check out the Weekend Sport Preview. The St.George-Illawarra Dragons are your Minor Premiers after sneaking past the Bulldogs on for and against with their win over the Parramatta Eels, and the Bulldogs loss to the Wests Tigers on Friday Night. The results in Round 26 saw the Top 2 switch spots, the Knights move to 7th and the Eels drop to 8th. Penrith were the only team outside of the Top 8 with a chance to force their way into the Finals but were crushed 35-0 by the Knights on Sunday. So now we are down to eight teams fighting it out for the 2009 Premiership. That also means eight sides are now officially also rans for 2009 with the Tigers, Rabbitohs, Panthers, Cowboys, Raiders, Warriors, Sharks and Roosters all missing the playoffs. St.George-Illawarra's Jamie Soward & Brett Morris carry the JJ Giltinan Shield around WIN Jubliee Stadium... will they be doing a similar lap around ANZ Stadium in a months time? FRIDAY NIGHT @ Olympic Park 7:30pm - Just click here or on the Team Logos Below for the Match Preview. MEL: Slater, Turner, Chambers, Inglis, Nielsen, Finch, Cronk, Tolman, Smith (c), White, Blair, Hoffman, Johnson. Reserves: Hinchcliffe, Cahill, Tandy, Koopu. MAN: B Stewart, Robertson, Farrar, Matai, D Williams, Foran, Orford (c), Kite, Ballin, Perry, Watmough, Bailey, G Stewart. Reserves: L'Estrange, Waerea-Hargreaves, Rose, Hall. SATURDAY NIGHT @ Skilled Park 6:30pm - Just click here or on the Team Logos Below for the Match Preview. GLD: Campbell, Gordon, Atkins, Delaney, Mead, Rogers, Prince (c), Bailey (c), Friend, White, Laffranchi, Minichiello, Harrison. Reserves: Henderson, Meyers, Tagataese, Graham, Matthews. BRI: Hunt, Winterstein, Folau, Hodges, Yow Yeh, Lockyer (c), Wallace, Kenny, McCullough, Taylor, Carroll, Thaiday, Parker. Reserves: Setu, Glenn, Sims, McGuire, Clinton. SATURDAY NIGHT @ ANZ Stadium 8:30pm - Just click here or on the Team Logos Below for the Match Preview. BUL: Patten, El Masri, Morris, Idris, Goodwin, Roberts, Holdsworth, Hannant, Ennis, Hodgson, Eastwood, Ryan (c), Stagg. Reserves: Hickey, Armit, Gordon, Warburton. NEW: Gidley (c), McDonnell, Sau, MacDougall, Vuna, Mullen, Dureau, Taufua, De Gois, Houston, Simpson, Taia, Hilder. Reserves: Naiqama, Karawana, Fa'aoso, Wicks, Paterson. SUNDAY AFTERNOON @ WIN Jubilee Stadium 4:00pm - Just click here or on the Team Logos Below for the Match Preview. STI: Boyd, Morris, Scott, Cooper, Sailor, Soward, Hornby (c), Poore, Young, Weyman, Prior, Creagh, Smith. Reserves: Hunt, Costigan, Fien, Nightingale, Saffy. PAR: Hayne, Burt, Inu, Reddy, Grothe, Mortimer, Robson, Cayless (c), M Keating, MoiMoi, Hindmarsh, Smith, Lowrie. Reserves: Kingston, Mateo, Mannah, Galuvao. There will be full game previews uploaded this week, but the best way to follow the 2009 Finals Series is to follow NRL_Finals_2009 on Twitter. On the first day of operation alone, we produced 30 Tweets - with some great nuggets of information in there, as well as news as it breaks. For the games themselves, regular Tweets will be uploaded giving you an instant evaluation of how the game is being played out and what to watch out for during the match. Note: September 8, 2009 - Twitter had 'suspended' the NRL Finals Tweet for 24 hours but all is resolved and the Tweet is back up. You can follow it via the Twitter page (thus have the info sent straight to your phone) or on this website's front page on the right column where all the tweets update automatically. Sorry for the inconvenience but it was out of our hands. So subscribe today and get involved with feedback - either here at wdnicolson.blogspot.com, at NRL_Finals_2009 on Twitter or via email wdnicolson@optusnet.com.au. So get on board and may the best team emerge from a month of football to take the premiership.